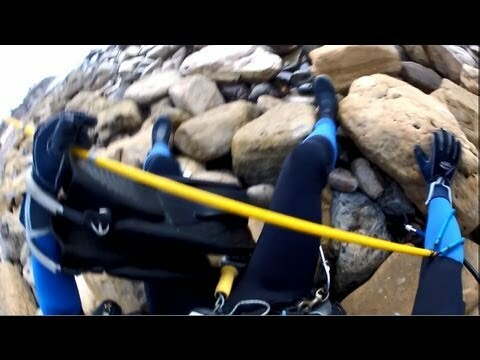 As we all know there is more than one way to enter the surf when scuba diving. However, what would seem to be the simplest, the beach entry/ shore entry does take a bit of skill. There are all types of shore lines from which to make your entry. Each of these brings its own challenges as far as the surf to contend with as well. There is the rocky shore entry which can be challenging just to cross as seen in the video below. And these challenging rocky beach entries …. Dios mío!!! ? Que mal rato!! ? Dónde están los compañeros para ayudaaarrr???? See the next page below for a video explaining how to properly make a scuba diving shore entry and exit.